River Sprint at Sadgill Bridge, 1920s-1930s? Postcard, black and white photograph of River Sprint, Sadgill Bridge, and Middle Sadgill, 1920s-1930s? 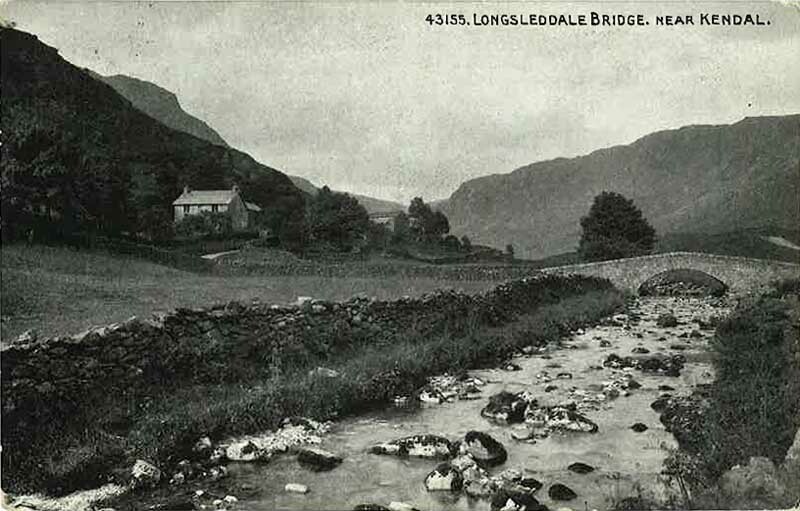 titled "Longsleddale Bridge. near Kendal."